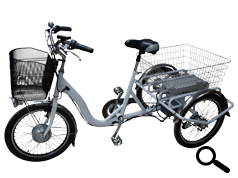 Batribike have added a second electric trike to their range. The Trike-R is a rigid (R) version of the existing tilting Trike. A wider rear wheelbase maintains stability. The frame is painted in a gloss white and it has the same baskets/carrying capacity as the tilting version. 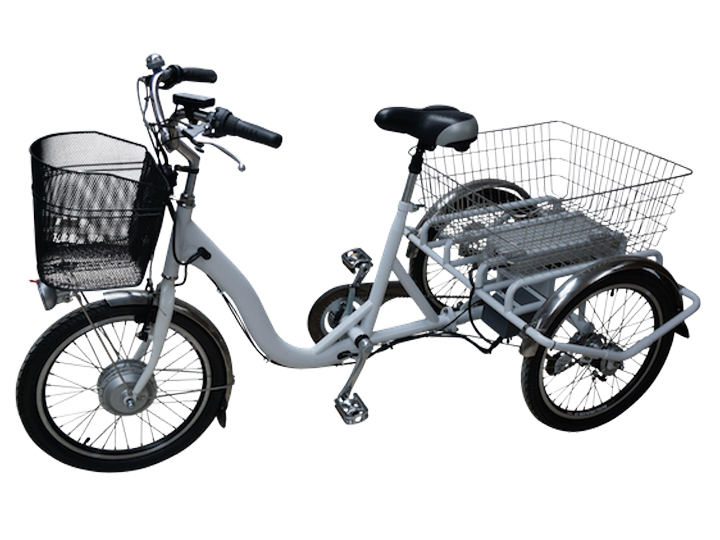 The Trike-R is fitted with the Batribike standard Samsung 10.4 Ah battery. The new Trike-R has an RRP of £1399. Sue Coulson, Batribike director, said "For some of our customers an electric trike is their only means of transport. Stability, reliability and carrying capacity are important to them and therefore it is important to us. We are delighted to announce the launch of a second trike in our range which reinforces our premier position in this area of the electric bike market." The launch of the new trike coincides with a battery upgrade to 10.4 Ah Samsung cells on the folding Breeze making it exceptional value for money, being very competitively priced with an RRP of £829. Additionally the Batribike Pro range of bikes is extended to include the Dash Pro, which is now available in the white/orange and white/blue colours. All the electric bikes and trikes in the Batribike range are fitted with Datatag as standard.